Looking for a Quality Dentist That Accepts Most Insurance? Time for a Check-up, Teeth Cleaning or Whitening? Call our Lake Jackson Location Now! Call our Palacios Location Now! We offer special appointments on some Fridays and some Saturdays if you are unable to get treatment on our regular schedule. Please call for more information! Looking for a quality dentist in Palacios TX or Lake Jackson, TX? Welcome to Brazos Dental Group, located in Palacios, TX and Lake Jackson, TX. We specialize in family and cosmetic dental services throughout Brazoria County. From teeth cleanings and routine checkups to teeth whitening and root canals, we do it all. Call us today at 979-285-2121 or 361-972-2888 to schedule an appointment! Brazos Dental Group is a family owned and operated dentist office with locations in Palacios, TX and Lake Jackson, TX serving Brazoria County and surrounding areas for over 17 years. We specialize in dental services that you can afford for children and adults including all standard dental procedures and cosmetic dentistry. Our professional team is ready to take care of your entire family’s smiles. We accept almost all insurances including Medicaid. At Brazos Dental Group, we aim to make your visit to the dentist fun and easy. Our motto is "Healthy teeth means a healthier body." Our experienced dental team strives to keep your mouth and teeth healthy and beautiful. As a reputable dental office located in Palacios and Lake Jackson TX, we have received recognition and acknowledgement for our participation in the community. 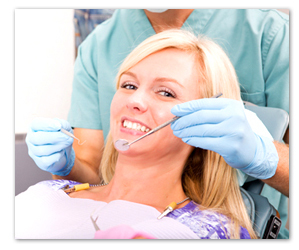 Depend on our highly qualified staff at Brazos Dental Group for all of your dental needs. Since 1998, we have been dedicated to ensuring all of our customers receive the best care at the most affordable prices. Financial plans are available so contact us today at 979-285-2121 or 361-972-2888 to learn more! Call Brazos Dental Group in either Palacios TX at 361-972-2888 or Lake Jackson TX at 979-285-2121! New patients may fill out New Patient Forms before coming to the office as it may decrease wait time if we are not busy. Patients also have access to patient information and post-procedure instruction sheets, should they lose the copies they received at the office. Call Brazos Dental Group in Lake Jackson TX at 979-285-2121 or in Palacios TX at 361-972-2888 today!